SAVE BIG On A 2016 Sportage In TX! When it comes to choosing a vehicle, many people seek an SUV. Why is this? For starters, an SUV gives you plenty of space and features. If, perhaps, space isn’t a huge concern for you, maybe you should consider the 2016 Kia Sportage. The Sportage is a small crossover SUV that seats five. It’s offered in three different trim levels and provides various features and amenities. You might think that a small crossover which only comes in three trims doesn’t have much to offer, but you’d be wrong. With the Sportage, features are countless, and you and your friends will be thoroughly comfortable and entertained on any trip you take. At Mike Shaw Kia, we offer an extensive inventory filled with new and pre-owned automobiles. We understand the simple fact that drivers have certain wants and needs when it comes to choosing a vehicle. That’s why we always try to offer a large, diverse stock. Take a look at our selection on our site. To help you narrow down your search, we’ve added a variety of helpful filters. You’re certain to find a ride or two you love! To help you get more acquainted with all the 2016 Kia Sportage has to offer, we’ve taken a closer look below. Keep reading for more information! On the inside of the Sportage, you’ll find a beautiful cabin with quality materials. The infotainment system is easy to access and all of the buttons are logically arranged. With a bold sense of style, the Sportage provides an attractive interior for you and your passengers. In addition to this, you’ll love the tilt-and-telescoping steering wheel, height-adjustable driver seat, a rear center armrest, dual-zone automatic climate control, leather upholstery, a six-way power driver seat with adjustable lumbar support, heated front seats, a cooled glovebox, a leather-wrapped steering wheel, a panoramic sunroof, and 60/40-split folding and reclining rear seats for extra storage. When it comes to the engine of the 2016 Kia Sportage, drivers have two separate options. First of all, the LX and EX trim levels offer 2.4-liter that delivers 182 hp and 177 lb-ft of torque. The SX gains a more powerful turbocharged 2.0-liter engine that produces 260 hp and 269 lb-ft of torque. Front wheel-drive is standard and both engines are paired with a six-speed automatic transmission. For those looking for all-wheel drive, it is an option you can choose from. 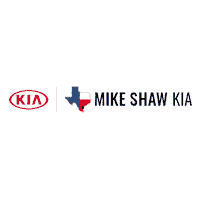 Visit Mike Shaw Kia to enjoy our outstanding customer service. We understand the car-buying process can sometimes be a hassle. That’s why we also provide a stress-free and hassle-free environment for our shoppers. On top of that, we offer a competitively-priced inventory filled with the vehicles you love most. We also offer a variety of deals and specials you can take advantage of. The catch? Our special offers are only for a limited time. The prices you see on our site today could be gone tomorrow, so don’t wait to reach out to us to secure a great deal. Come see us soon. You’ll find our dealership conveniently located at 6802 S. Padre Island Dr, Corpus Christi, TX 78412, which means residents of San Diego, Alice, and Benavides are just a short drive away. During your visit, our team of experts will be more than happy to show you around, fill you in on our many deals, and let you take a test drive or two. Get behind the wheel of the Kia Sportage today! We look forward to seeing you soon!